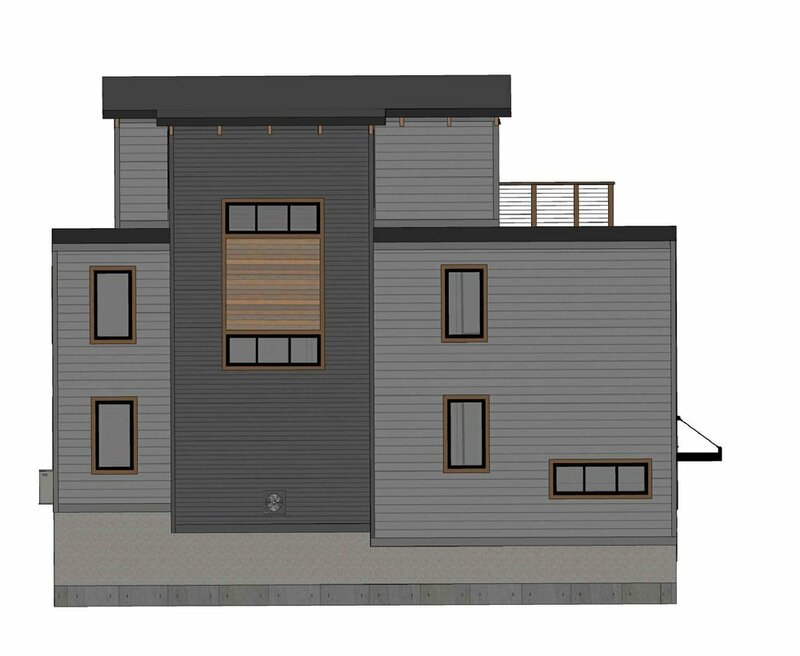 Unit 1: 2 BR + Deck - Under Contract! Unit 2: 1 Bedroom - Under Contract! 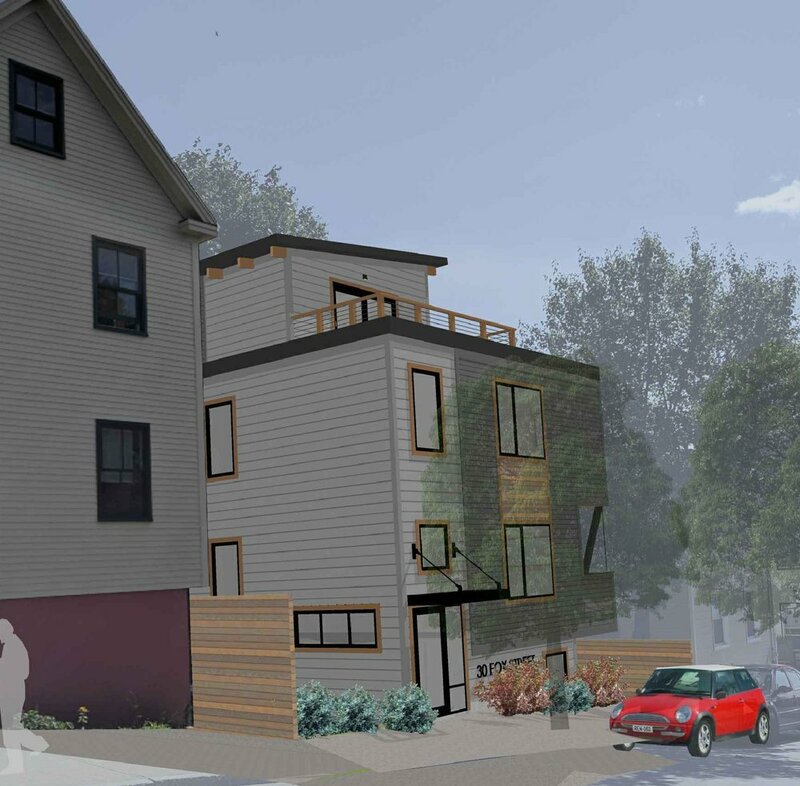 Three brand new, modern condominiums in one of New England's greatest historic cities. PENTHOUSE / 2 BEDROOMS / 2 BATHS / ROOF DECK - NOW AVAILABLE! Brand New, Modern Condos with High Ceilings, Generous Living Space, Covered Parking, and Roof Top Deck with Views. 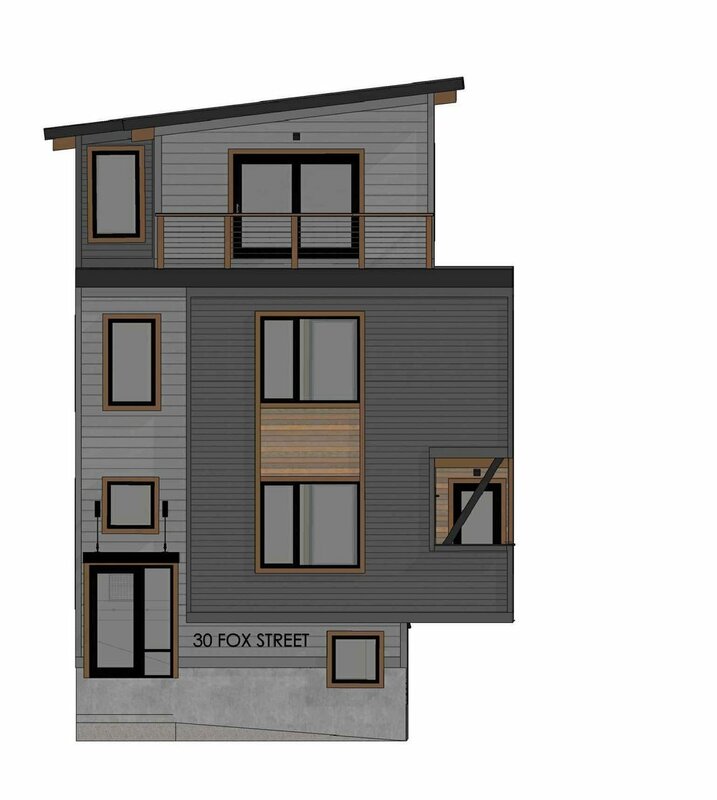 Welcome to 30 Fox Street – three brand-new modern condos just steps away from Portland’s hottest restaurants, distilleries, classic Maine breweries and easy access to downtown Portland. Move in late Winter 2019! 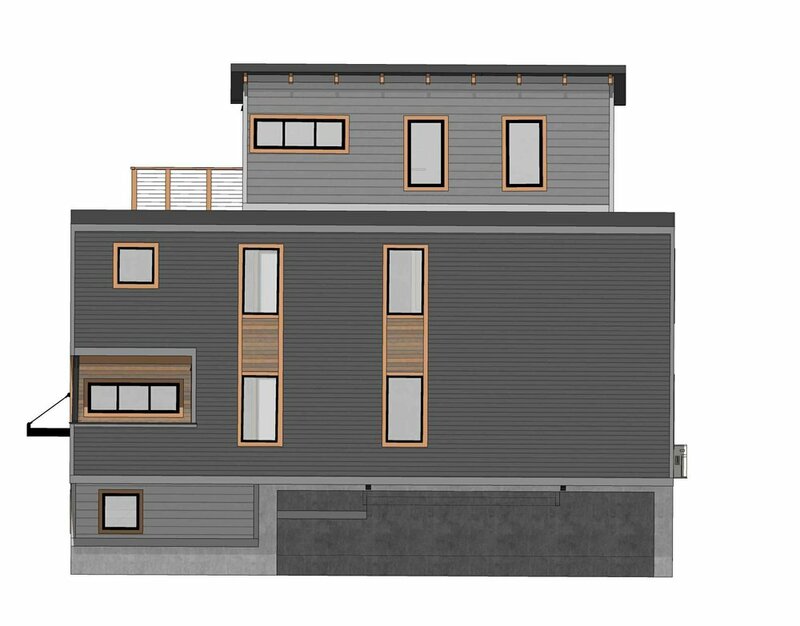 The 30 Fox Condos have been thoughfully designed by bild ARCHITECTURE. "For the people of Maine, there is only one Portland. Maine's largest metro area and economic hub features cobblestone streets and ships sheltered within the island-specked waters of Casco Bay. Artful living and farm-to-table dining are not just trends in Portland – they have been a way of life for years. A "do it yourself" spirit resonates throughout the region, so don't be surprised if a neighbor offers you extra produce from a community garden, home-brewed beer or knitting tips. All around Portland you'll find dozens of local entrepreneurs offering homegrown or homemade products, from mittens to coffee. Locals refer to Portland's downtown and adjacent urban and commercial neighborhoods (which sit on an area that juts into Casco Bay) as the "peninsula"." The condos at 30 Fox Street are situated right on the Portland Peninsula in East Bayside, a neighborhood brimming with culture and entrepreneurship. The condominiums at 30 Fox Street are situated in East Bayside - one of Portland, Maine's most vibrant and fast-growing downtown neighborhoods. Walkability is key here - your WALKSCORE is 92 and BIKESCORE is 86! Right around the corner from these brand new condos, you can walk to dozens of local breweries, coffee shops, restaurants, shops, grocery stores and more. Silly's Restaurant is about the only thing that hasn't changed on Washington Avenue over the last 20 years. There are now a dozen choices for your dining , entertainment and drinking pleasure... whether it be for coffee at Coffee by Design, spirits at Maine Craft Distilling, or pottery classes at Portland Pottery, you are all set to walk to your destination. Cong Tu Bot in action. The aroma and tastes emanating from Cong tu Bot drive people back to visit again and again. Imagine being able to walk here! 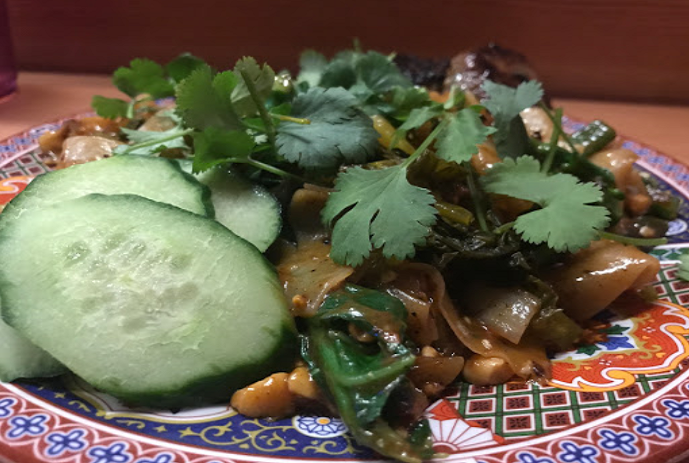 Reflective of the renaissance of Washington Avenue, Cong tu Bot opened in 2017 to collective high regard for the curry noodles, fried rice and especially, the well toasted pandan pound cake with citrus curd and coconut cream. The last time I ventured to Oxbow, there was a wedding in progress. A great space for events and a great space to have a drink with friends. Oxbow specializes in Belgian style brews. Oxbow is an extension of Oxbow Brewery located in Newcastle, Maine. I also saw a Shakespeare festival there - a super cool place to be. Lovingly developed by fermenting wildflower honey amongst a proprietary yeast strain (wouldn't you like to have one of those! ), Maine Mead is surprisingly refreshing and easy to drink. The sweetness is left to the staff who will offer you a dry, crisp pour. Try the lavendar lemonade - it's the bomb. All my favorite influences in one place... Mexican, Caribbean and South-West. The diversity of influences makes the food and decor a joy. BBQ is their specialty - get there early to get your share before the daily sell-out. In fact, you may want to get there early to grab a seat before they fill up too! Bild Architecture was founded by husband and wife, Evan Carroll and Sasha Salzberg. While architecture is the common thread, the Bild team brings together direct experience from the fields of business management, construction, mechanical and plumbing design, property management, building science consulting, and community-based design-build architecture. This diverse set of backgrounds informs the pragmatic, relationship-based approach to building design that is Bild Architecture. As general contractors and builders, Cornerstone provides a full spectrum of design, building, restoration, and renovation services throughout Maine and New Hampshire. From ground-up construction of high-tech commercial spaces and modern condos, to full scale historic restorations and construction of the finest residential buildings; we provide unparalleled service and results. Established in 2015 Dyer Neck Development is a real estate development company owned and operated by Simon Norwalk. Based in Portland, ME Dyer Neck Development is dedicated to providing fine craftsmanship, efficiently designed, and friendly service. Our goal is to start with a vision and make it reality, offering the best experience in urban living. Live well in downtown Portland, Maine.